Last night as I was having my midnight snack. Ok, it wasn’t midnight, it was 9:30pm, which, since motherhood, is the new midnight. Now, my snack: a bowl of cereal that took me down memory lane. As a kid my grandparents used to come and visit us and on the first morning after their arrival, my grandpa would wake up early, as would I, and he would take out a big loaf of challah, slice it really thick, soak it in egg batter followed by a dip in to a pile of corn flakes. What happened after that was magical, in other words, the most amazing French toast a kid could ever ask for. It was crunchy at first, then so soft and perfectly sweet. Absolute nirvana. My grandfather was a chef extraordinaire in my eyes. I haven’t had his French toast recipe in so many years, it has almost vanished from my memory. I decided I must make his recipe and share it with my family, just with my own spin on it. I replaced the challah with croissants and the corn flakes with Kelloggs’ Special K Vanilla and Almonds (my newest late night addiction). It’s better than I remember, perhaps it’s my spin on, either way, grandpa would be proud. Whisk together the eggs, milk, flour, cinnamon and vanilla until completely smooth, I like to use a stick blender for a few seconds. 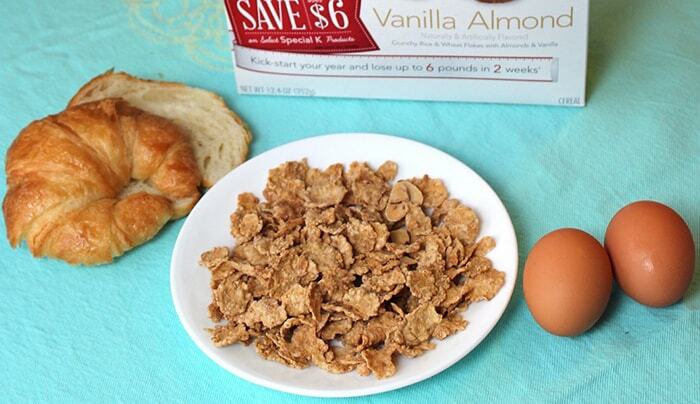 Slice the croissants in half and place 2 cups of Kelloggs Special K Vanilla Almond into a shallow bowl or plate. 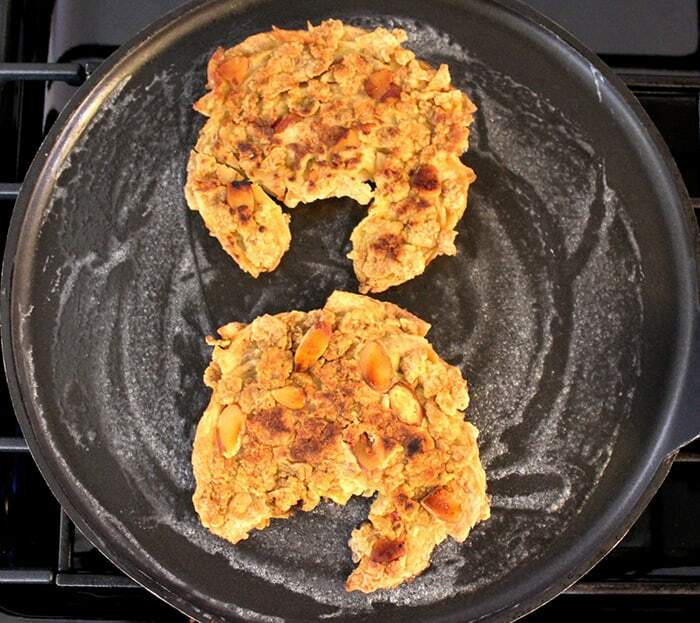 Preheat your griddle to medium and coat with butter. 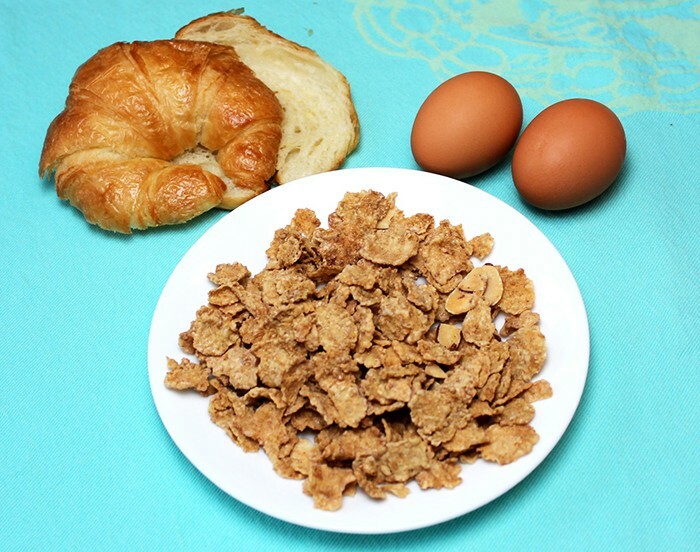 For each piece of French toast place one slice of croissant into the egg mixture and thoroughly coat, remove and dip into the cereal, flip and cover the other side. Place on griddle and cook for about 2 minutes or until golden brown. Flip and cook for an additional 2 minutes. 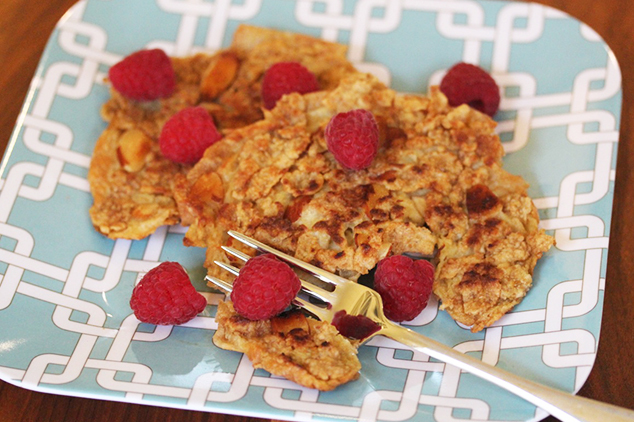 Remove and serve with fresh berries. 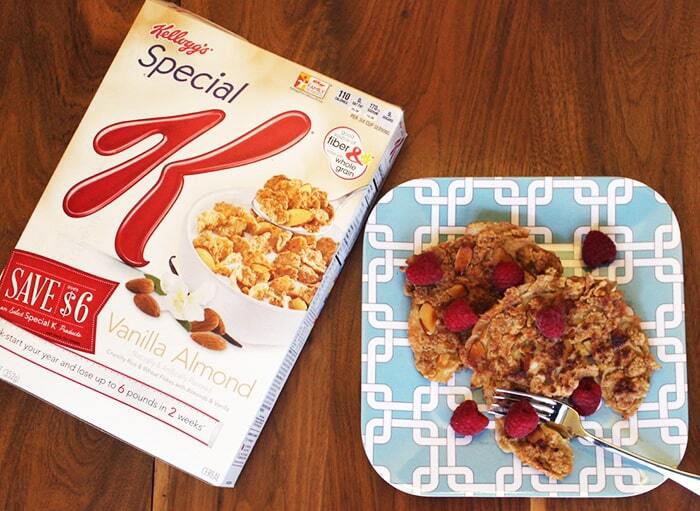 No need for syrup with the sweetness from the cereal. 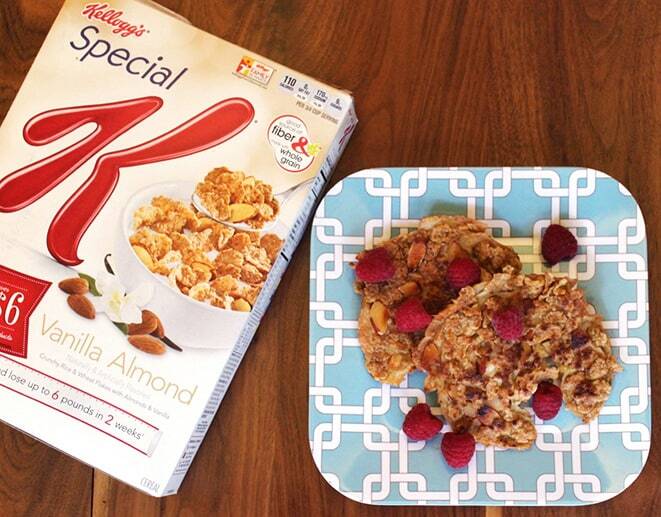 Every time you tweet or instagram with the hashtag #greatstarts, Kellogg’s will donate a breakfast to a child in need. Every child deserves a great start! Going to HAVE to try this. French toast is my fave. Croissants are my fave.